The internet is a beautifully simple marketplace for people to make money, and get paid for their services. We’ve compiled the top websites you can use to make money online in Nigeria, whether you want to start your own business – or just make a little extra on the side. Nairaland is Nigeria's biggest internet discussion where you can talk, share and discuss virtually anything in life. If you want to make money on Nairaland, all you need to do is help people, answer questions, resolve controversies on areas you are very good at. This will build trust, help promote your brand and then you can sell your knowledge via information marketing business and make money. OLX is Nigeria's biggest classified market place where you can upload a used items available for sale and find buyers in less time. 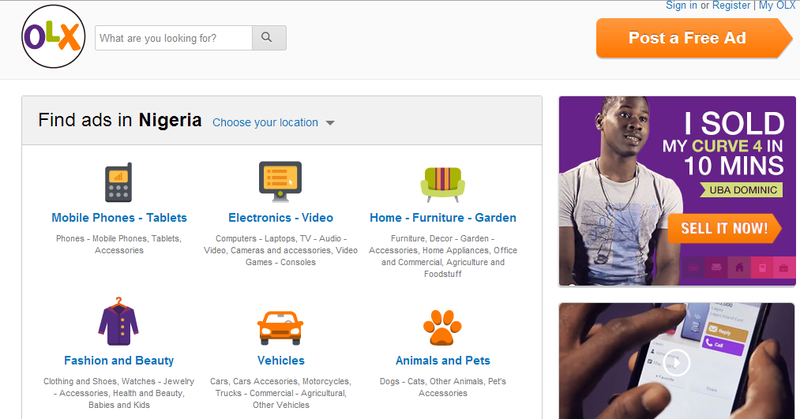 On OLX, you can find many products ( from computer and accessories, mobile phones, fashions to domestic equipment) offered for at cheap price, buy and resale. Kaymu is a close substitute to OLX, Unlike OLX, it is open to sellers who want to take advantage of the internet to showcase their product to a wider markets and pool of buyers online for free. You can register for free, upload your products, find buyers while Kaymu handles delivery and customer service.